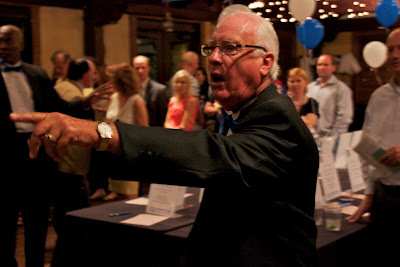 The 10th annual “Feed the Need” charity auction in Orlando coincided with the 40th anniversary of its founding group, the Christian Service Center, Central Florida's oldest non-profit social services agency. The CSC works to prevent homelessness, combat poverty and help others in need. “We’re trying to stand as a lighthouse, to provide assistance to those who need help in our community,” said Orlando City Commissioner, Robert F. Stuart, who also servers as executive director for the CSC. The auction event was divided into two parts, with a silent auction on several items featured in the center of the venue and a live auction hosted by Barbara and Wade West. Guests paid $50 per ticket to bid on items ranging from passes to the Orange Bowl in January, an outdoor billboard advertisement, vacations to Ireland and St. Lucia and more. “When you have a wonderful organization like the Christian Service Center it's no wonder that you can fill a room with very happy supporters,” said Barbara West. “They care about the work the organization is doing, and they want to be here to help.” West was an anchor-reporter at WFTV-Channel 9 in Orlando and left last December after 24 years in the broadcasting industry. The over-all approach of this charity is to start with the basics like a free hot meal to those who need it. Like the non-profit Daily Bread program, that have served nearly three and a half million meals in Orlando since its inception, and typically give out an average of 580 meals per day through two locations. 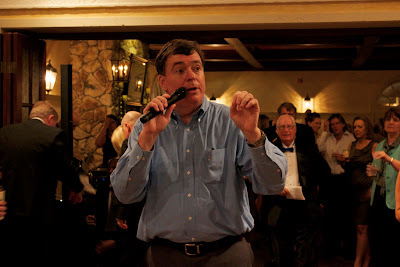 A majority of the funds raised from this auction and throughout the year by various donations goes to the Family and Emergency Serviceman program, which provides emergency assistance and relief during times of economic crises to individuals and families, such as a single mother who needs help paying for medication for her sick child. "We absolutely love it, not only are there great items to bid on, but it all goes to help the less fortunate in our area,” said Judie Lamprey, who has attend this event for the past eight years. The only way programs like this are able to succeed is with the support of the community and political leaders. 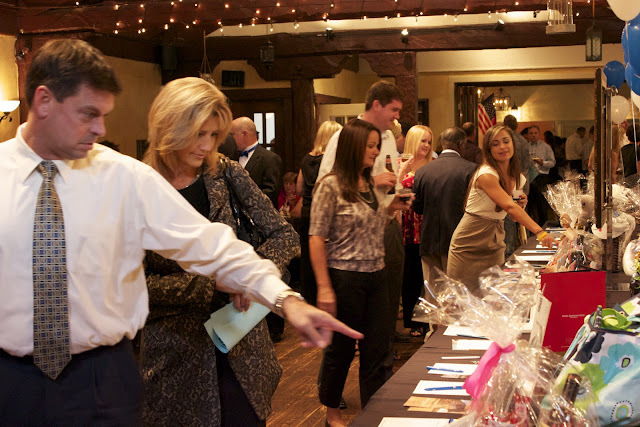 Auction events like this are only the highlight to a yearly struggle of assistance and charity in troubling times. Though the crises we face now will not get better over night, it will surly be worse unless we all step up and help the less fortunate in our community to rebuild America from with-in. For more information on “Feed the Need” and other fine programs of the Christian Service Center visit their website at, http://www.christianservicecenter.org. You can also offer food, service, or other donations to help local feeding centers like Daily Bread that are always at an increased need to help families in the coming holiday months. Contesting bidders raise the total during the live charity auction for "Feed the Need." 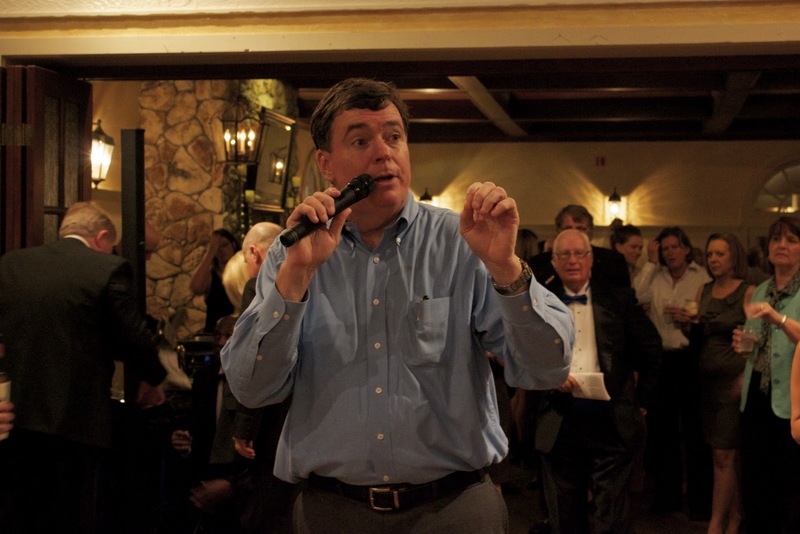 Commissioner Robert F. Stuart speaking to fundraisers before the live auction.